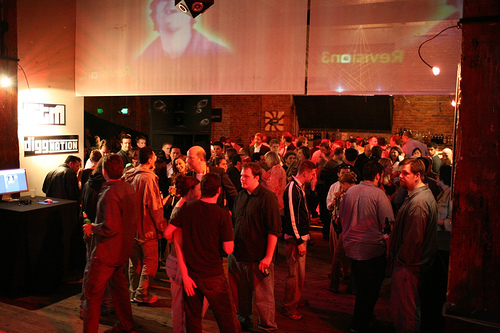 The founders of Digg just launched their new online video content company Revision3 tonight, with a massive party at Mighty in San Francisco. Special guests from Tiki Bar TV, Ask A Ninja, French Maid TV and many others flew in just for the occasion. The place was packed wall-to-wall. Between cocktails I was able to squeeze out a few photos (of which at least 20% feature Irina posing with someone). 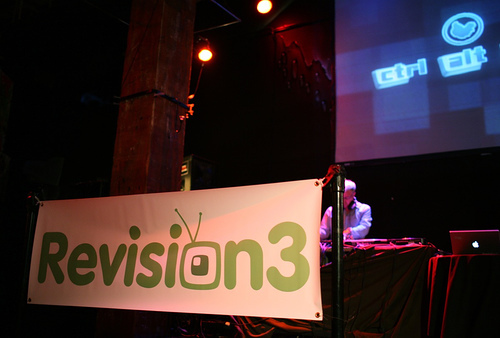 Diggnation is Revision3’s flagship series of the new fall line-up, along with other popular shows like Systm, thebroken and Infected. At the party they showed previews of these programs, which look really great. I especially like the fact that Revision3 is creating these shows on their own terms, with full creative control and a focus on great content. 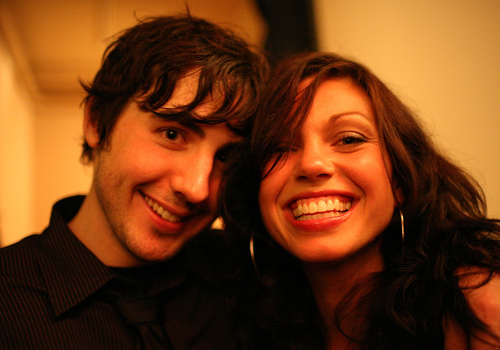 UPDATE: Here’s Thomas Hawk’s write-up and photos from last night.